Today we lost a great man, loving husband and a wonderful father. Bruce Jensen passed away peacefully March 24th in Helena MT. 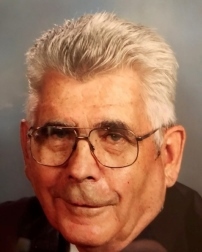 Bruce Henry Jensen was a lifelong Montanan born in Choteau; March 30th, 1933 to Helen & Henry Jensen. Bruce was raised on a ranch and attended elementary school in the nearby town of Dupuyer. Bruce continued his education in Choteau where he went to high school while living with his Grandmother. Eager for adventure at 17, Bruce proudly served his Country by joining the Navy in April 1950. A Navy Seabee, who was stationed in Iwakuni, Japan as a construction electrician. Bruce would never casually say he spent time in the Navy, he was always very specific and would say that he served 3 years, 9 months and 22 days in the Seabees as a construction electrician. In appreciation and respect, Bruce always flew the American Flag at his home in honor of the Country he loved. In 1954, on June 13th Bruce married Nancy McClain in Conrad. Together the young couple fished, hunted Elk and dug Dinosaur bones on the Rocky Mountain Front. Bruce’s electrical work in the Navy provided the needed expertise to take a job with 3 Rivers Telephone in Fairfield. Bruce worked for 7 years installing telephones and updating switchboards there. A short stint working for Bell Telephone in Glasgow followed while waiting on an opportunity in the Flathead with Northwest Telephone. In 1961 Bruce and Nancy settled in Kalispell when Bruce was hired by Northwest Telephone Company. With hard work, respect of his peers and the opportunity it provided, this position become a career. In 1990 Bruce retired with 29 years of service with Northwest Telephone. Bruce and Nancy, have been happily married for 64 years. In the years following Bruce’s retirement Bruce and Nancy had many years to enjoy family and travel. Together they traveled to sunny Arizona in the winter and during the summer lived at the beautiful home they built together on the West Shore of Flathead Lake. They have four children: Michael Jensen, Robin Bare, Jeff Jensen and Raiko Henderson, 9 wonderful Grandchildren and 2 Great Grandchildren. A service in remembrance of Bruce will take place March 30th, (which would have been Bruce’s 86th birthday) at Johnson-Gloschat Funeral home in Kalispell at 1:30 pm. Interment will follow the service at Conrad Memorial Cemetery also in Kalispell.